In his response, Dr. Rundvist restates his original claim and enlists me in the project: history of science ([deleted because I over stated the case]) must show how past scientific debates have been resolved the in present, thereby contributing to an overall increase in human knowledge. Dr. Rundkvist characterizes knowledge in a way that I reject. 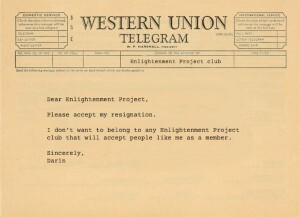 He asserts an “Enlightenment project” characterized by progress—we are gaining not only more knowledge but better and more accurate knowledge. In such a project, only those activities that contribute to this progress are worthwhile. The way to assess progress, quality, and accuracy of knowledge is to assume that the relevant categories of any scientific debate, the evidence used to evaluate and assess those categories, the arguments used to justify those assessments, and the motivations for engaging in the debate, are timeless and unproblematic. Importantly, those categories, the evidence, assessment, arguments, and motivations are defined by scientists in the present who are engaged in the activity they think is a continuation of the historical debates. History, insofar as it plays any role in this model, merely lists the names of dead people who, present scientists think, contributed to the current debate. But this is precisely what I don’t accept. The categories, the evidence, the criteria, the arguments, and the motivations are not transcendent. To use Dr. Rundkvist’s example: What Newton was doing in the 1680s, how he divided up the world, what he considered relevant evidence, how he judged that evidence, why he bothered investigating the natural world (how he even identified the “natural world”) share little with what scientists were doing in the 1930s. As Andrew Cunningham has argued convincingly, Newton was engaged in a project called “natural philosophy,” which included a wide range of activities that we might call, inter alia, alchemy, astrology, astronomy, Biblical exegesis, chronology, history, mathematics, optics, and theology. The goal of this project was to understand God by investigating of His creation. Newton signaled his intentions in the title of his most famous work: Philosophiæ naturalis principia mathematica . However modern and familiar this text might look to scientists today (though I suspect many have not even read it), it answered the questions Newton was asking in the late 17th century. God was at the center of those questions. I doubt many scientists in the 1930s were investigating God’s creation. To excise God from Newton’s work requires ignoring considerable evidence to the contrary. The resulting account misunderstands and misrepresents what Newton was doing, and what his work meant to him and to his contemporaries. In other words, to sanitize Newton’s Philosophiæ naturalis principia mathematica of the unfamiliar and uncomfortable bits is to stop doing history. 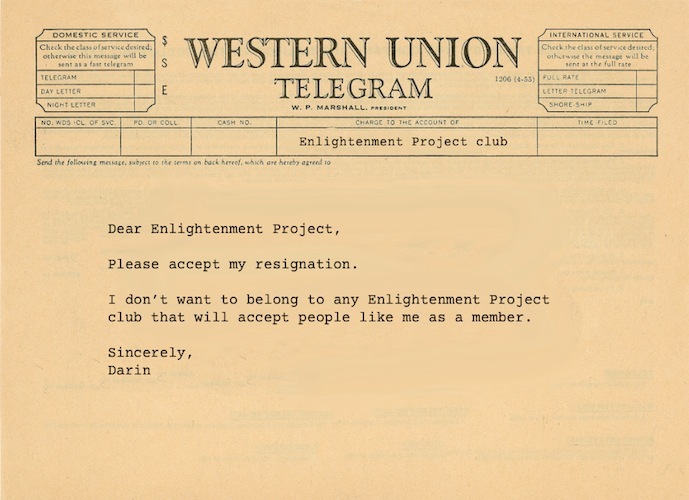 The telegram I would send resigning from the Enlightenment Project. I cannot see how the princes and astrologers I study have any relevance to today’s scientific debates. Scientists are no longer engaged in debates about astrology. Today’s astronomers no longer consider the astrological implications of their work. And while Ronald Reagan (who as early as the 1960s relied on the astrologer Ralph Kraum) and François Mitterrand purportedly consulted astrologers, most rulers today rely on other systems of knowledge. Far from trying to illustrate how scientific knowledge is timeless, I hope to show how knowledge is inextricably tangled up with the context that calls that knowledge into existence. I neither praise historical actors for getting it right nor rebuke them for getting it wrong. Finally, while I would like people to read and learn from my research, I am unwilling to violate the standards and norms that guide my work and make it identifiable as history just to attract and perhaps appease a wider audience.